Backstreet’s Back — This Time With Kevin, Too! 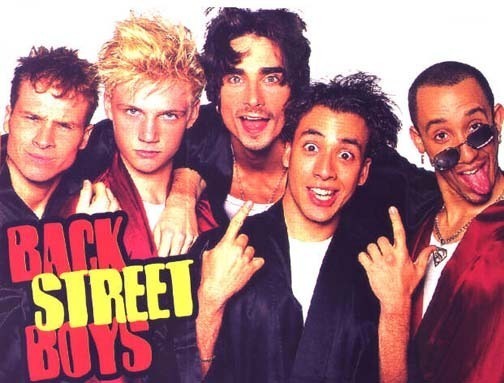 If you grew up in the ’90s, then you were probably a Backstreet Boys super fan. You spent your days singing your heart out to “Quit Playin’ Games (With My Heart)” and kissing the Bop and Tiger Beat magazine pull outs of your favorite BSB members. While the Backstreet Boys have continued to put out albums within the last few years, boy bands have generally faded away. But this past year the Backstreet Boys came back with a resounding force when they joined up with New Kids on the Block for the biggest boy band extravaganza ever, also known as the NKOTBSB Tour! Kevin did rejoin his BSB band members for several performances throughout the years, even making a guest appearance on the NKOTBSB tour when they played at the Staples Center in Los Angeles. Now it’s been announced that the Backstreet Boys are not only heading out on their own tour to celebrate their 20th anniversary and coming out with a new album in 2013, but that Kevin is permanently rejoining them! Are you excited for a complete Backstreet Boys return? Previous Previous post: Risa Binder Brings Some Classic Country Flavor To NYC! Next Next post: Micah Jesse Celebrates 5 Years In Entertainment!